While Scripps National Spelling Bee this week tries to convince us that America can spell, Google has the state-by-state breakdown to prove otherwise. 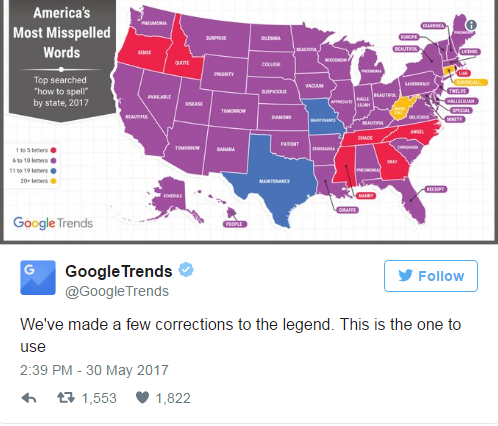 The search engine revealed Tuesday which word comes up the most when people type in, “How to spell…” and the results are something else. 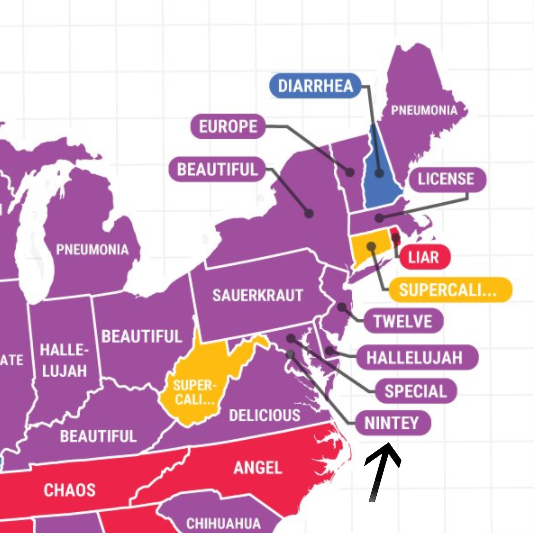 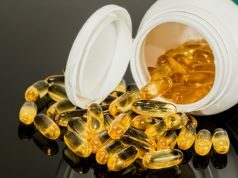 The results are telling — Wisconsin looks up how to spell their own state name the most, while New Hampshire is worried about diarrhea and getting that right.